If the pulse is faint, absent or you are unsure, give rescue breaths and/or chest compressions. • Put the heel of your hand on the center of the chest and push hard and fast. • Give two compressions a second or 120 beats per minute. Keep rhythm to the song “Staying Alive”. 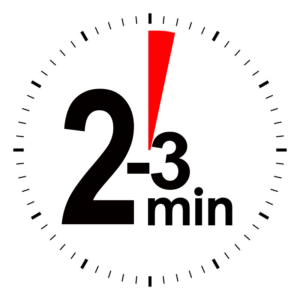 If it has been 2 – 3 minutes since naloxone was administered, give another dose. It is very important for you to give breaths or chest compressions until the victim has a pulse or is breathing on his own. Stay with the victim and provide first aid until EMS arrives. If you need to rest or if the victim revives, use the recovery position to avoid strangulation should the victim vomit.